A receivers' surplus has proved to much of a stretch for FEG's recovery unit. 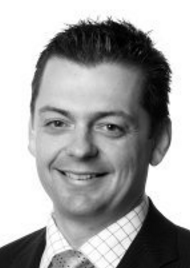 Grant Thornton’s national head of restructuring Matt Byrnes: dispute with FEG over trading losses. Well this is different. FEG missing out on a slice of pie. It happened after receivers applied for a ruling to determine whether funds generated from a trading trust should be carved up for creditors. In the decision of Amerind Pty Ltd (receivers and managers apptd) (in liq)  VSC 127 (23 March 2017), handed down in the Supreme Court of Victoria last Thursday, the key finding was that Amerind is a corporate trustee. As a consequence its assets are held on trust and cannot be classified as company property. The Corporations Act therefore does not apply and so FEG’s right – after paying out staff under the Fair Entitlements Guarantee scheme – to replace those employees in their position as priority creditors, is not invoked. When contacted, Henry Carr, who heads up the Department of Employment’s FEG Recovery Unit said he and his team were still considering their position. An appeal can’t be ruled out, though improving the legislation might be a more effective and cheaper route than a challenge in a court of appeal. The ruling – by Justice Ross Robson – followed an application by Grant Thornton’s Mat Byrnes and Andrew Hewitt for declarations about the validity of various claims on assets the pair had realised after trading Amerind post their appointment in March 2014. After secured lender Bendigo and Adelaide Bank was paid out $20 million from debts it was entitled to under the terms of a pre-appointment debtor finance facility, various parties leapt upon the almost $1.62 million surplus, which had first been flensed of “a just estimate” sum for the receivers’ reasonable costs and remuneration. Given it had forked out $3.8 million in accrued employee entitlements the FEG recovery unit was after as much of the surplus it could get and it contended that the surplus was property of the company and if was not then Amerind’s lien and its right to an indemnity over the trust assets were. The judgment is colossal – 152 pages – and canvasses many of the topics that have been agitated with gusto since the recovery unit’s buccaneering litigators earned a budgetary boost last year. Proceeds realised from circulating assets; Personal Property Securities Act (PPSA) registrants – imperfect and otherwise; and the availability or not of trust assets when a trustee is insolvent. They’re all canvassed. In the course of the proceedings for example FEG attacked the receivers’ treatment of $1,224,677 in losses incurred during the trade on period, losses which were set entirely against the proceeds of circulating assets to which section 433 of the Corps Act applies, whereas FEG submitted that the loss should be allocated against the non-circulating assets. Also making an application as an interested party was Carter Holt Harvey (Wood Products) Australia, which represented itself as secondary secured creditor of Amerind behind the bank. It objected to the position of the receivers and FEG, arguing that the surplus should instead be distributed among unsecured creditors, a seemingly curious position for a secured creditor. Another interested party was Alpine MDF Industries Pty Ltd, which applied for leave to be heard as a secured creditor of Amerind under a “retention of title agreement”. 1 Comment on "FEG’s stretch for trust assets fails"
This is a seriously well structured judgment by a judge who knows these areas well. His reasons for declining to follow what appears to be a binding Full Court decision – are persuasive and yet “Houdini-ish”. It is a precedent and I suspect stands little chance of being rolled if appealed. In fact, I would expect the CoA to resoundingly adopt the reasons with a one paragraph dismissal of the appeal and en endorsement of the trial just’e reasons for decision.